During Lent we worked through Galatians. This week, we’ll begin a journey through the Book of James. These two works are often contrasted with each other. Galatians focuses on salvation by faith, while James reads more like a list of what to do and not to do. 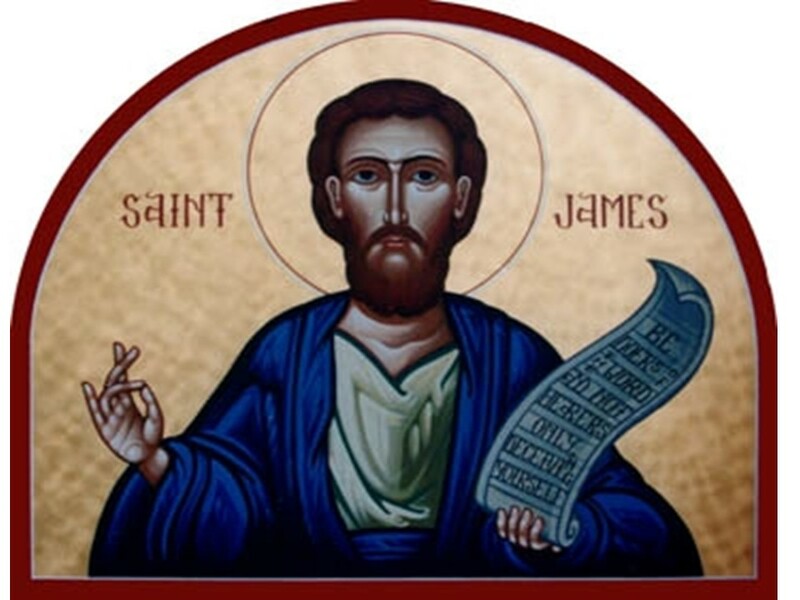 The author is James which was a common name during New Testament times. 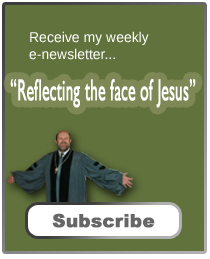 In this letter, he’s only identified here as a servant of God and of the Lord Jesus Christ. Unlike many of our New Testament letters, it doesn’t appear James was writing to a particular congregation, or even group of congregations. Instead, he addresses this to the twelve dispersed tribes. We know, from the Old Testament, of the 12 tribes representing the sons and daughters of Jacob. But the twelve tribes were longer in existence by New Testament times. The destruction of the northern Kingdom of Israel led to the dispersion of the ten northern tribes, and the last two tribes of the southern kingdom were dispersed by Babylon nearly six centuries earlier. The tribes were less identifiable and Jews, were living all over the known world by the time James came along. There is debate as to if James is addressing this letter to just Jewish Christians or to all Christians living in the known world. Two weeks ago when Presbyterian Women had their luncheon to close out their program year, Dr. Robert Pawlicki spoke. Even if you weren’t there, you may recognize him from his column in the Twatl, which focuses on happiness. He began his talk about how wonderful of a place in which we live. We don’t have to deal with snow, we don’t have to worry much about crime, and things are green all year. Most everyone nodded in agreement. Then he suggested that as nice as our island is, it’s not the reason we have happiness. There’s plenty of unhappy people. He went on to point out how survey after survey have found the happiness people in the world often live where the environment can be brutal. Yet, they’re happy. 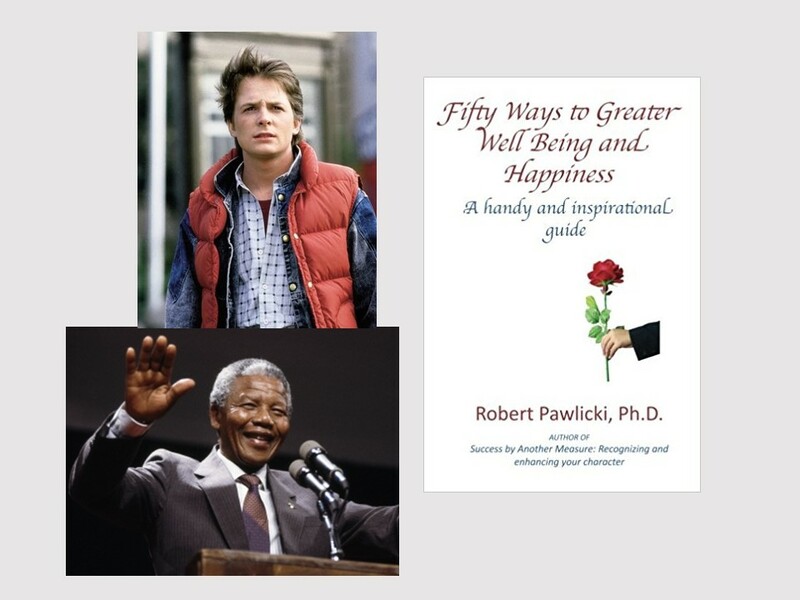 In his book, Dr. Pawlicki provides a number of examples of happy people. One is the late Nelson Mandela. I am not sure I’d be happy if I had been imprisoned unjustly for much of my life, but Mandela was able to maintain perspective. He had a purpose in his life, to help create a better country for his people, and that allowed him to be happy. Another example was Michael J. Fox. After coming down with Parkinson at a relatively young age, Fox admitted that when he was rich and famous and healthy, he was quite unhappy. He was addicted and lonely. His diagnose of Parkinson’s redirected his life and gave him a gift that actually lifted him up out of depression. Despite his illness, the last years of his life were his happiest years. Nelson Mandela and Michael J. Fox are modern examples of what James refers to this letter. Their lives demonstrate joy despite trials. 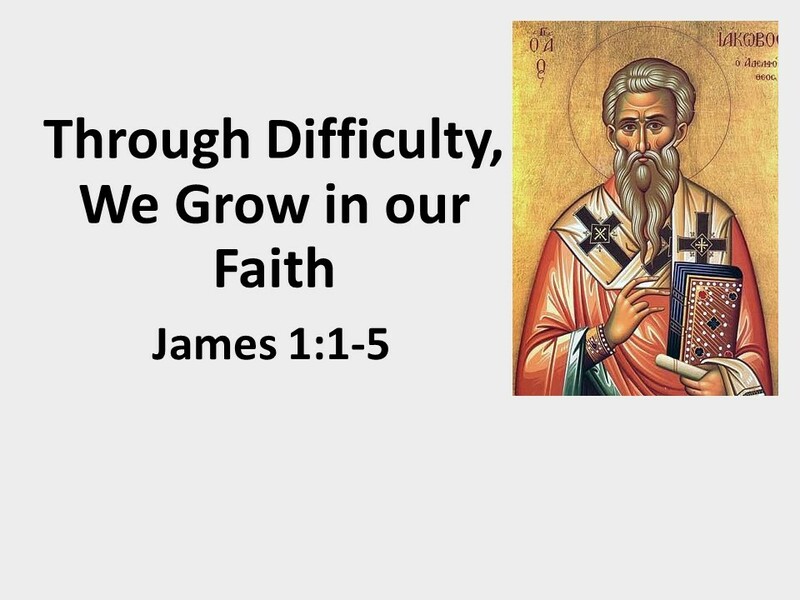 James, and the Bible in general, remind us that life is difficult, but it’s in embracing and enduring the difficulty that allows us to grow in our faith. 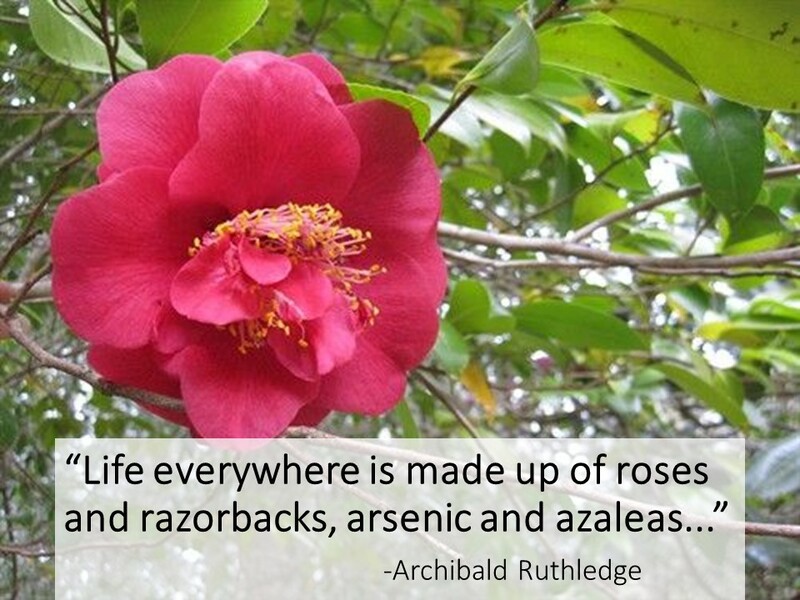 Archibald Rutledge, a former poet laureate of South Carolina wrote, “Life everywhere is made up of roses and razorbacks, arsenic and azaleas…” “[L]ife is enliven by its uncertainty, it is made dearer by its insecurity and its brevity.” When we meet obstacles head on, trusting that God is with us, God can do some incredible things through us! Furthermore, if life held no challenges, it wouldn’t be very memorable. I don’t know how many river trips I’ve made in canoes and kayaks. Yet, the ones I most remember best are those with challenges; the trips with inclement weather, with hordes of mosquitoes, with leaving an important piece of equipment at home, or some other obstacles. Ten years ago, a few friends and I decided to paddle the Fox River in the Upper Peninsula of Michigan. 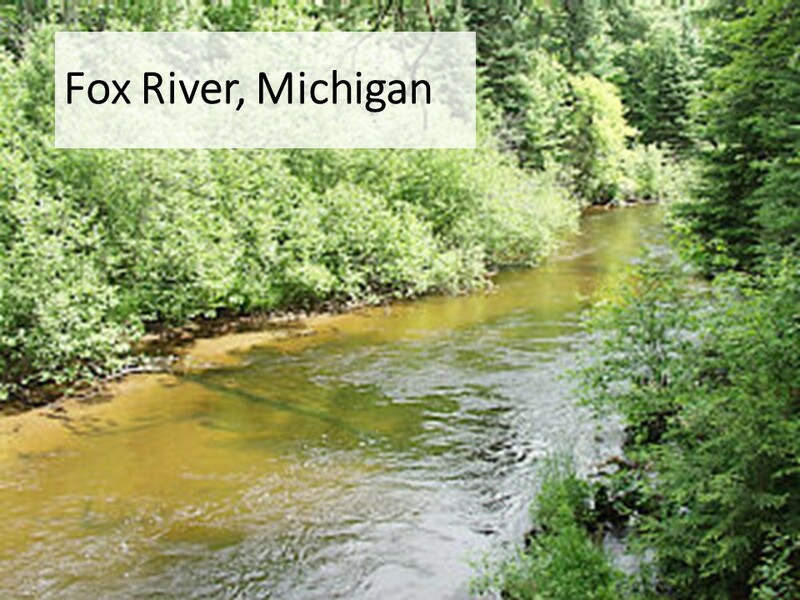 It’s a prime brook trout river, one that Ernest Hemingway fished after he came back from the First World War. Hemingway drew on these experiences to write his Nick Adams stories. I had a guidebook that said we should be able to paddle this section in four hours. We trusted the book and started early in the morning, thinking we’d take several more hours to fish. We caught our limit. But as the afternoon turned into evening, we realized that we hadn’t passed the first of two large streams that flowed into the river. This was no four hour paddle. Part of the problem was that the river had not been cleared of snags in years and we spent as much time pulling over logs as we did paddling. As the sun dropped in the west, the deer flies came out, making life miserable. Having thought we’d easily be off the river mid-afternoon, we didn’t have a lot of extra food with us. We paddled like crazy as the sun set. In the Northwood in the middle of the summer, it is light till around 10:30 PM, but it was 11 PM before we got off the river. We were exhausted and tired and by then didn’t want to cook dinner (we saved the trout till the next day). Exhausted, the four of us went to the only place open, the Seney Bar. Their cook had left at 9:30, but the bartender took pity on us and fixed us some frozen pizzas (those 99 cent cardboard varieties, which he charged us $5 apiece). As tasteless as those pizzas were, we appreciated and devoured them. On that trip, we learned some things; we became better paddlers, but we also created memories that still bring a smile to our faces. It can be the same with our faith. We all go through periods of testing, times when we face obstacles and challenges. James tells us that if we stick with it, we build endurance and will mature in a manner that will allow us to face other challenges we’ll have in our lives. And remember, as long as we have breath, we’ll have challenges. James is often seen for his departure from the message we get from the writings of Paul and Peter. However, in this opening section, James says things similar to what they both say. In Romans, Paul speaks about rejoicing in our suffering because it produces endurance, which produces character, which produces hope. Peter encourages us to rejoice despite grieving from trials, so that through our faithfulness we will bring praise to our Savior. James bookends our passage with the importance of enduring trials and temptations. This message is clearly identified in verses 2-4 and 12-14. In between these bookends, James speaks of two important truths. First of all, he acknowledges that ability to endure isn’t something that is innate within us. Such abilities are from God and if we are facing challenges that are overwhelming, we need to go to God in faith and ask for the wisdom we need. And we need to trust God to give us what we need, and act accordingly, not just continue on with our doubts. Secondly, drawing from a message that harkens back to the Psalms and Isaiah, we need to remember that our lives are fleeting. Riches wane just as flowers wither in the heat. We’re in God’s hands and we should trust God alone. Our abilities, wealth, health, strength and looks will wane. We’re to live out our lives in God’s providence. Our passage closes with a reminder that we are not to blame God for trying to trip us up or tempt us into evil or into failure. Sadly, James doesn’t give us an answer to the age old question on evil (if God is good, why do bad things happen). Instead, he encourages us to keep our faith in a gracious God, to trust in the Lord who can provide us with the faith to endure even when things are not going our way. Keep your eye on Jesus! Joy in adversity? Yes! Often there is little we can do to change our environment. Much of what happens to us is beyond our control. But we can control how we think about our troubles and how we react to them. Challenges can be opportunities for us to build our faith. James encourages us to endure, to have faith, and to seek God’s wisdom. God is in control, not us, and that should be a great comfort to those of us who place our trust in the Lord. Amen. Robert Pawlicki, Ph.D., Fifty Ways to Greater Well Being and Happiness: A Hand and Inspirational Guide (2012), 57-59. Archibald Ruthledge, God’s Children (1947), Kindle Edition, loc 283. See Romans 5:3-5, 1 Peter 1:6-7. Dan G. McCartney, James; Baker Exegetical Commentary on the New Testament (Grand Rapids: Baker, 2009), 84.